Weston Observatory seismographs on 4-12-2012, have recorded several earthquakes located ~260 miles offshore of Boston MA. Be sure to visit the New England Seismic Network website (aki.bc.edu) to check if any more earthquakes occur. 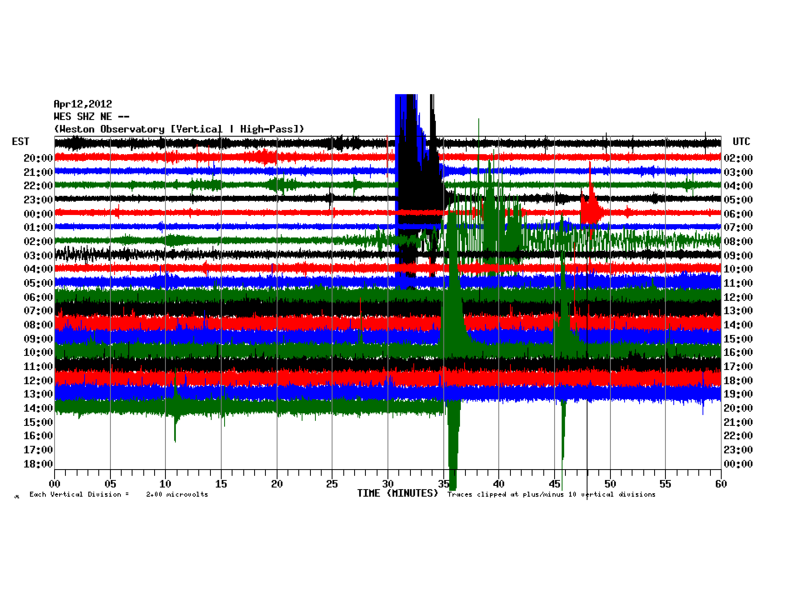 Below is a screenshot of the WES seismic station. The large peaks are those offshore earthquakes.